I always enjoy the chance to take Washington visitors out of the vibrant capital city of Lima and into the Amazon. There they see first-hand the complex challenges that Peru faces, including the presence of transnational criminal organizations and the coca fields that dot the landscape. But they also see the bravery and enthusiasm of rural farmers who have turned away from coca farming and are now growing coffee and some of the world’s best cacao, used by chocolate producers in the United States and around the world. Peru remains a leading producer of cocaine, an illegal industry that enriches criminal organizations, fuels violence and perpetuates poverty in rural communities. Peruvian cocaine can be found on the streets of the United States and Europe. And the criminal networks that produce and sell cocaine in Peru threaten the security of the entire hemisphere. Farmers like Rolando Herrera, who decide to grow coca, are often at the mercy of these cartels. And while coca generates income, it does not lead to development. Banks, pharmacies and farm suppliers do not want to set up shop in narco-trafficking zones. Schools and health clinics cannot recruit teachers and nurses to such areas. As one farmer told me, “coca gives you work, but doesn’t give you a future.” As a result, like Rolando, many communities are agreeing to abandon coca farming and join the licit economy. The U.S. Government works closely with the Government of Peru in its efforts to disrupt the operations of criminal networks, eradicate coca and help farmers like Rolando develop lucrative, legal crops. USAID Administrator Mark Green recently visited Peru and saw first-hand this dynamic and the way the Agency partners with Peruvian officials and citizens to reduce this transnational scourge. 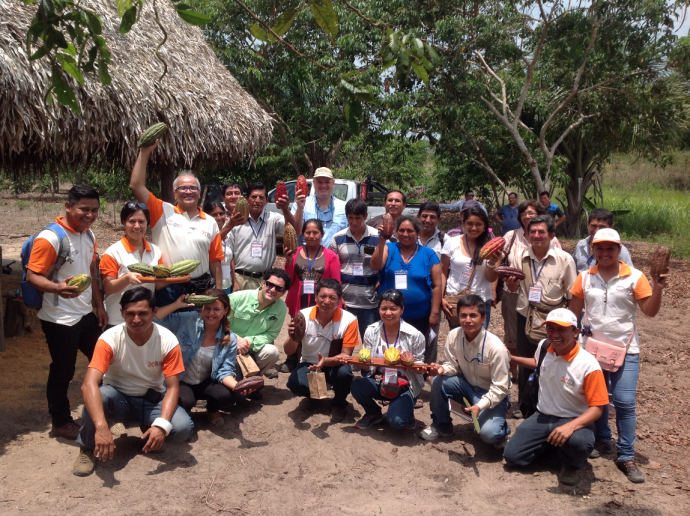 USAID works in partnership with both the Peruvian Commission for Development and Life Without Drugs (DEVIDA) and the private sector to connect farmers to national and international markets. This model works. Data from the United Nations Office on Drugs and Crime show that in areas where coca eradication was paired with sustained assistance to farmers and greater investment in infrastructure and social services by the Peruvian government, coca cultivation decreased by nearly 90 percent from 2011-2016. Most importantly, communities that were mired in a poverty trap because of coca now have a much brighter future. Much of this success is because of the Government of Peru’s growing commitment to invest its own resources to stop the production and trafficking of cocaine. The government has dramatically increased its counter-narcotics budget from $145 million in 2012 to $214 million in 2017. And in 2013, Peru expanded the role of DEVIDA from a coordinating and policymaking agency to one with a field presence that works directly with communities to improve government services and create economic opportunities. Today, DEVIDA’s budget is over $45 million, up from just $4 million in 2010. A perfect example of DEVIDA’s success is the former coca stronghold of the Monzon Valley, which once held about 10,000 hectares of coca. Here, the average income in 2013 was $1.89 per person per day, well below Peru’s extreme poverty line of $2.20 per person per day. With DEVIDA’s assistance, households saw a 53 percent increase in income from 2012 to 2016, and the percentage of extremely poor families dropped by 55 to 30 percent. USAID is committed to helping Peruvians and their government. Our partnership is more cost-effective than ever as it leverages more external resources every year. 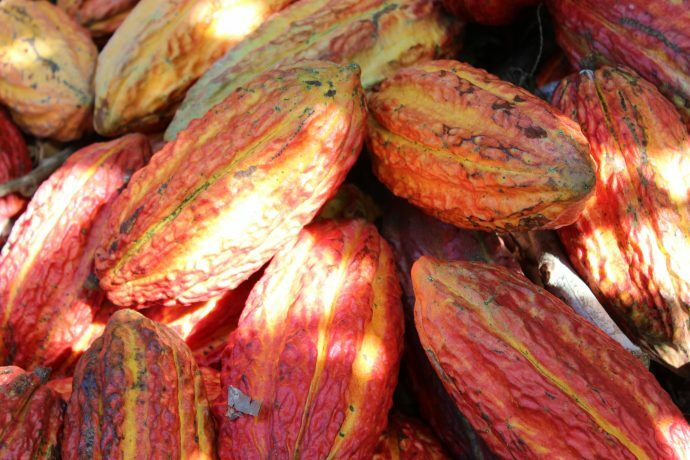 Peru’s national production of high-quality, exportable cacao is expected to more than double by 2021, helping to feed the growing demand for dark chocolate and supply the $35 billion U.S. confectionery industry that employs 55,000 workers. In 2015, USAID leveraged $11 million from the private sector to generate $48 million in total sales of legal crops. There is certainly more work to be done, but Peru is clearly gaining traction against the criminal organizations that operate in the rural Amazon. Given the commitment of the Peruvian Government, I am confident that progress will continue. And Rolando and thousands of other former coca farmers seeking a more secure future will see to it. Lawrence Rubey is the director of USAID’s mission in Peru. USAID is racking up big benefits around the globe when it comes to partnering with small businesses in the United States. Once again, preliminary federal data indicate we have exceeded our worldwide ​goal for the fiscal year that ended in September, awarding $620 million in contracts to U.S. small businesses, the most ever in a single year for us and a high point on a five-year upward trend. Small businesses received just over 13 percent of the contracts we awarded, an almost 2 percentage point increase over the last fiscal year when USAID’s percentage of small business contracts compared favorably—and even surpassed—similar-sized and larger U.S. government agencies. But the figures only tell part of the story as the country is set to mark Small Business Saturday. 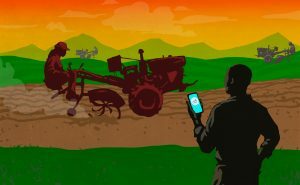 Working with U.S. small businesses means that farmers in Nigeria can now use their mobile phones to punch up Hello Tractor, whose founder grew up in Ohio. 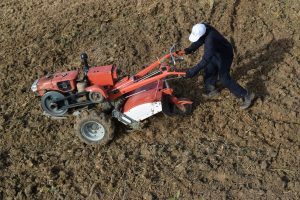 The service provides on-demand tractors—in the model of an Uber or a Lyft—so farmers who cannot afford to buy the expensive equipment can nonetheless harvest crops and earn a living. Tractor operators/drivers also benefit. Then there’s Maryland-based A Joint Venture, whose architectural design work ensures Liberia’s university students—and next-generation leaders—have comfortable, modern classrooms for study. U.S.-based small businesses are also helping us find innovative solutions to irrigate crops in regions where water is scarce and combat illegal wildlife trafficking (find out more about the inspiring veteran who runs this business in this story). In fact, U.S. small businesses are a big part of the work we do in more than 80 countries today. That wasn’t always the case, but we are changing. When USAID was created 56 years ago, nearly 80 percent of the financial flows between us and the developing world were in the form of U.S. government dollars. Today, that figure is closer to 9 percent. Charitable contributions and remittances from expats have taken up some of what U.S. taxpayer dollars formerly covered. But the real contributor in helping developing countries reach their potential is commerce and investment. We’re partnering with these businesses in new ways, collaborating, co-financing and co-designing projects to have the biggest impact we can make to improve lives and livelihoods. And we are expanding our efforts in the United States and at our overseas missions. USAID is proud of its role as the world’s leading humanitarian and development organization. But we know we can do more—and stretch taxpayer dollars—by embracing the entrepreneurship, creativity and innovation that small businesses provide. We believe the purpose of development assistance is to end its need to exist. But we’re realistic; we can’t do it alone. We want smart ideas from new partners—including the world’s small business entrepreneurs—to help us meet our goals. So while U.S. small businesses celebrate Small Business Saturday tomorrow with deals for shoppers, we’ll celebrate the work they do to boost the economies in their local communities and in communities around the world. If you are a small business, check out How to Work with USAID. Follow USAID at this year’s Global Entrepreneurship Summit, Nov. 28-30 on Twitter and Facebook. Jospeh Ebwalu, and family, beneficiaries of Village Enterprise’s skills building course. Credit: Village Enterprise. USAID is taking steps to ensure we make the most out of our investments, and one way we are doing so is by experimenting with a range of “pay-for-results” models. “Pay for results” is an umbrella term for initiatives that pay out only after specified results have been achieved, rather than paying for the efforts to work toward those results. It is seen as a disruptor that encourages innovation and attracts new funding sources. It can align interests and risk sharing among funders and implementers toward achieving evidence-based outcomes. Interest in using these strategies in development has risen sharply in recent years, in line with growing attention to aid effectiveness and the need to use scarce resources efficiently. But how exactly does this work? Let’s take the story of Joseph Ebwalu as an example. Joseph, a farmer in Maaga village, Uganda, used to only grow enough cassava, millet and ground nuts to feed his eight children. Aside from the few extra cups he sold for profit, Joseph relied on local government support to provide for his family and lacked the financial history necessary to take out loans for a business of his own. 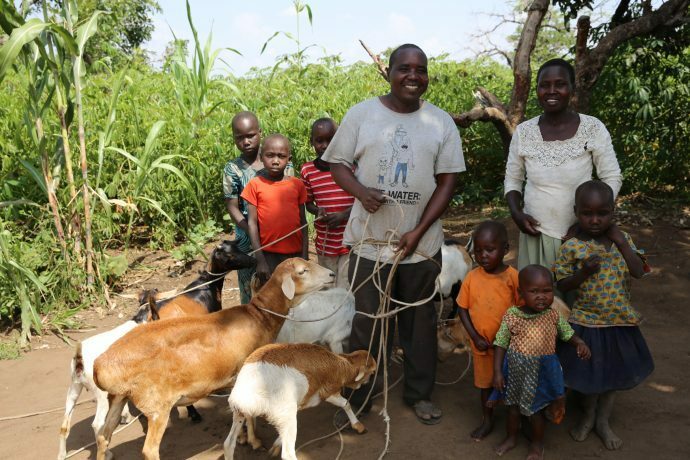 A few years later, things look quite different for Joseph and his family, thanks to a skills building course offered by the nonprofit Village Enterprise. 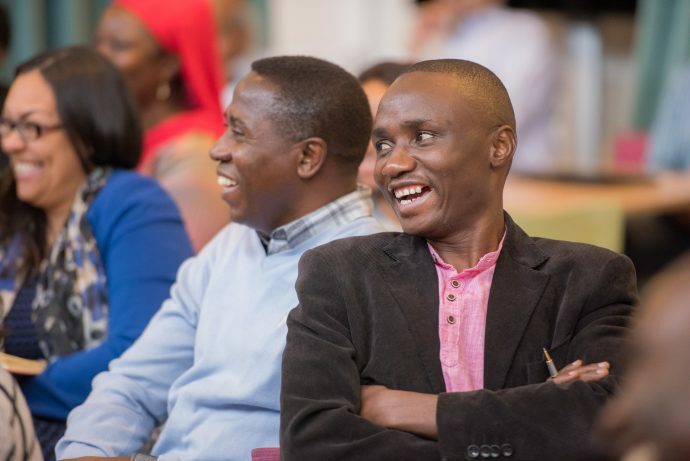 The organization’s one-year poverty graduation program provided Joseph and fellow entrepreneurs with the business skills, economic stability and starting capital to not only get on their feet, but to stay standing. 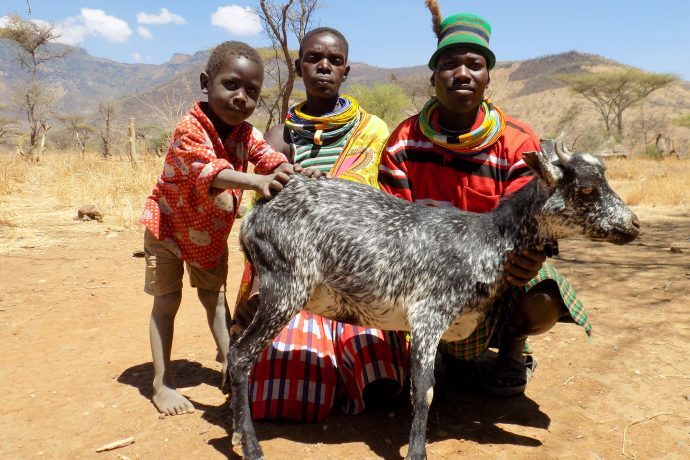 Joseph now runs his own goat-rearing business with his two Village Enterprise group members. The profits he’s earned allowed him to move beyond subsistence farming to providing his family with three meals a day and sending all of his children to school. He’s now a role model for others in his community. 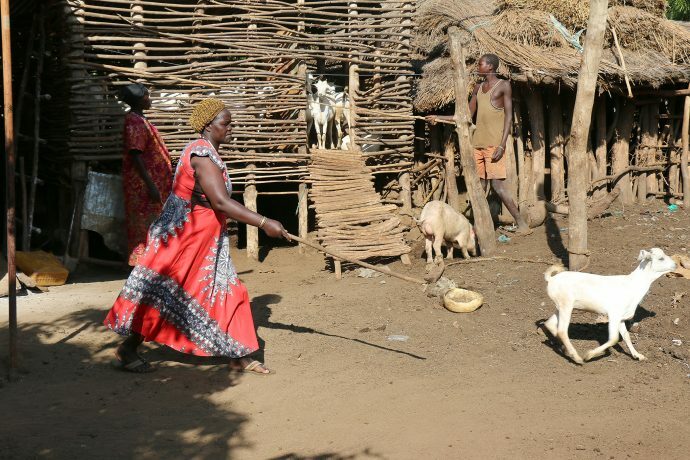 USAID provides support to the organization Instiglio to develop, with Village Enterprise and other donors, a development impact bond to scale Village Enterprise’s poverty graduation model in Kenya and Uganda. In this specific example, USAID and other donors agreed to pay a certain rate for rigorously verified outcomes from Village Enterprise—like increases in Joseph’s net assets and the number of meals his family eats. Village Enterprise gets funding upfront from socially-motivated investors and free reign to deliver services as they see fit. This way, if the poverty graduation model doesn’t work in Kenya and Uganda, the donors wouldn’t have to pay. However, if Village Enterprise does meet its target and successfully helps more people like Joseph, then the nonprofit unlocks more funding from USAID and its partners. USAID uses a few other pay-for-results structures, as well. Outcomes-based grants and contracts are agreements between a funder and a partner. In these relationships, after an initial transfer of money to launch or improve a project, the partner must meet agreed upon outcomes-based milestones or forfeit further payment. An example is the Development Innovation Ventures program, under which grants are based on outcomes milestones, ensuring that both the funder and the grantee are incentivized by the same goals around results. 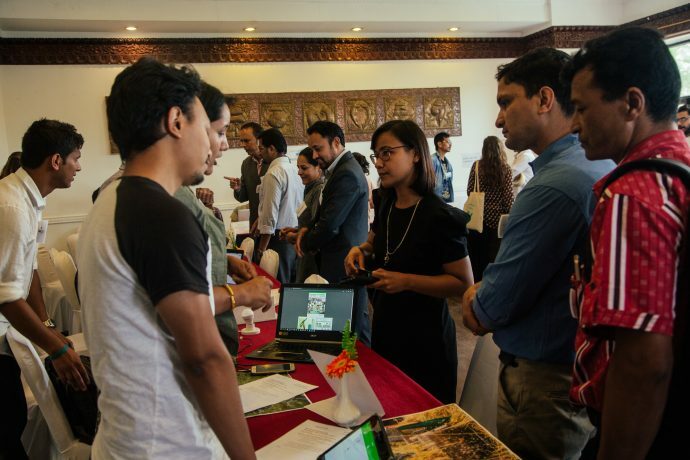 Data Driven Farming Prize: Teams get feedback on their proposed solutions during a Haat Bazaar in Katmandu. Credit: Kathaharu Studio. USAID also uses results-based incentive prizes to create open competitions that incentivize a wide range of organizations and individuals to accelerate a solution or achieve a specific outcome, while remaining open to innovation and out-of-the-box ideas on how to get there. USAID has used results-based incentive prizes to award cash to competition winners that best achieve the specific outcomes or hit predetermined targets, stimulating the market to develop or improve solutions as diverse as small-scale desalination technologies, household refrigerators that function with off-grid energy systems and data solutions to enable decision making for smallholder farmers. In lean financial times, USAID needs to continue to increase cost-effectiveness while also encouraging innovation. By integrating these practices into our everyday work, we have the potential to cut costs, make smart decisions, and transform international development. Together with our partners, we are taking a step toward a future where our funding is more directly linked to results. And we do not expect the trend toward outcomes-based programs to slow. To learn how to design for outcomes and integrate pay-for-results approaches into your work, reach out to us at labinnovation@usaid.gov or visit USAID.gov/globaldevlab. “Localize it” is a phrase that increasingly resonates in the world of development. It echoes the growing voice from the field calling for greater local involvement, locally based solutions, and empowerment of local communities. This is all the more true in the context of building partnerships with the private sector to address development objectives. As a Foreign Service National, I am proud to be a Senegalese native working for USAID to create partnerships with the private sector that enhance the Senegal mission’s development objectives. To me, “localize it” is more than just a phrase—it is the foundation of my career. I have always believed that development is first and foremost a community’s commitment to uplift itself from the vulnerabilities that are caused by poverty, diseases, inadequate infrastructure or poor governance. And that stems from the people and systems within those communities. The power of “localize it” is demonstrated by Ibrahima Sall, the founder of Coumba Nor Thiam, a medium-sized rice milling firm established in northern Senegal. 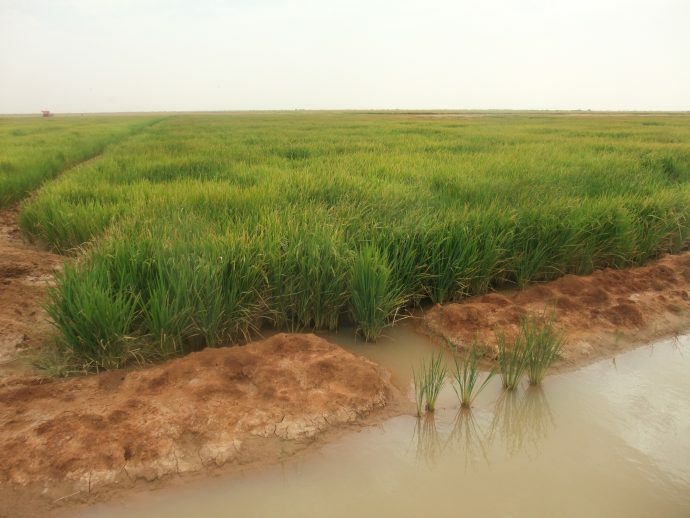 The USAID mission in Senegal is working with the firm and other enterprises to develop a system to improve smallholder rice farmers’ ability to access urban markets. 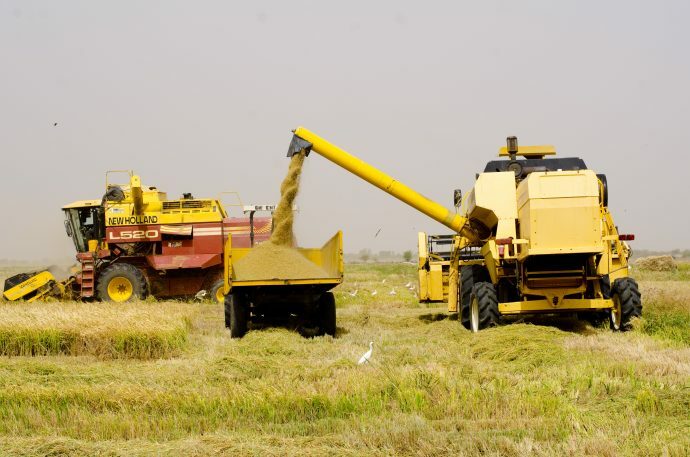 USAID is partnering with Senegalese firms throughout the rice value chain to scale up rice production through improvements in processing capacities, storage facilities and modernized harvesting equipment. / USAID/Senegal. When we spoke, I could feel Ibrahima’s passion and engagement for advancing communities that he’s been part of for the past 50 years. Ibrahima knows how to build loyalty among smallholder farmers so they can be motivated to supply higher-quality rice for his milling company. He understands the cultural nuances that allow him to create a trusting environment, necessary to operate in challenging settings where formal mechanisms may not always be enough. 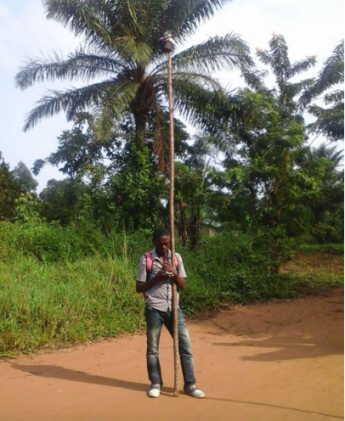 Ibrahima has a stake in the future of his community; he is a local agent for sustainable impact. In the field, you will find many success stories of engaged local private sector actors, like Ibrahima, growing their enterprises with and within their communities. 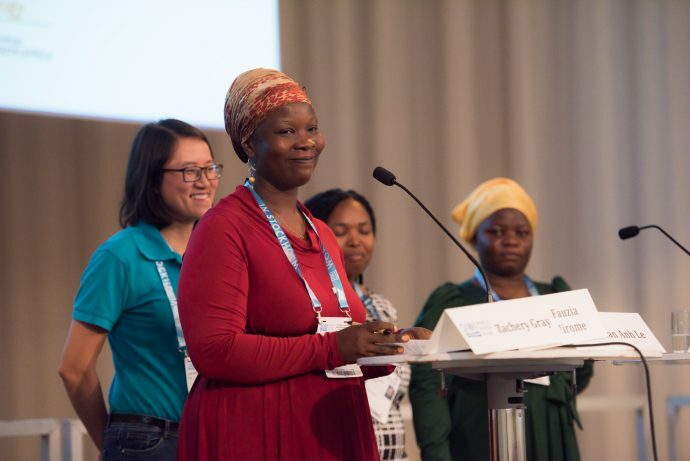 Whether it is creating the right storage conditions for cereal production, providing maternal health service delivery, developing solar-based solutions to improve access to electricity, or using IT services to transform a village perspective on the world, all of them strive to open a world of new opportunities. Local solutions are implemented through local stakeholders to address local problems and create stronger local ecosystems. That is the path to sustainability. At USAID, we partner to end extreme poverty by helping those who are working to improve their lives, their communities and their nations. Together, we work to raise the quality of life of people around the world, whether through improving food security or increasing access to quality health care. Ibrahima and his counterparts, through market-driven approaches, are helping us achieve our goals. 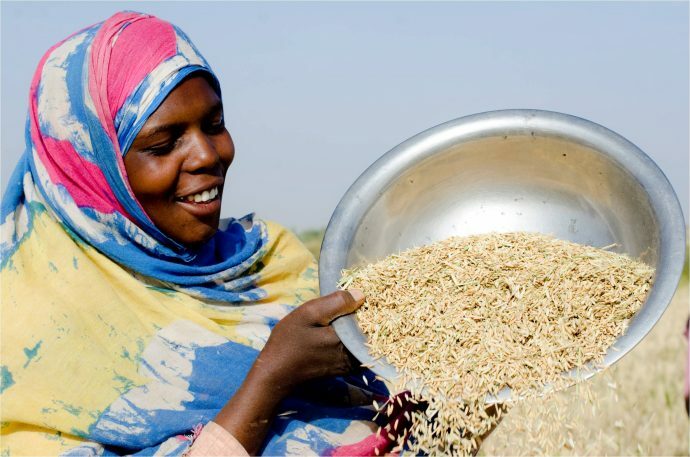 By partnering with local companies in Senegal’s rice value chain, USAID is working to increase food security and decrease poverty. / USAID/Senegal. There are great opportunities to partner with local agents of sustainable impact and to design pathways and mechanisms to facilitate the building of those partnerships. This can be done through our implementing partners, but also directly, as local systems and solutions should be used to scale up impact. Take, for example, the Senegalese rice sector. 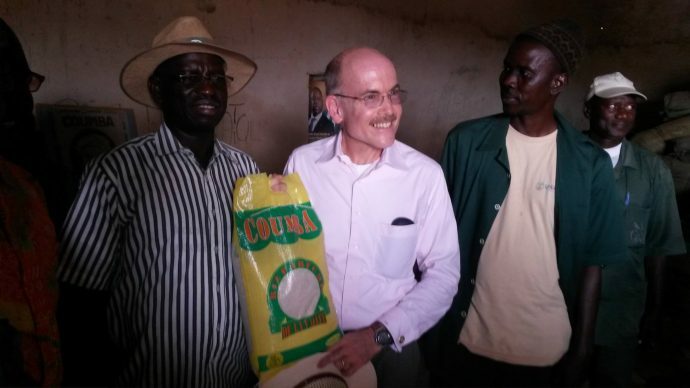 USAID is partnering with an alliance of rice millers, smallholder farmers federations, and the Senegalese government to scale up rice production and improve access to markets. This partnership aims to significantly reduce imports and create sustainable economic growth opportunities within Senegal. Our sector expertise and understanding of the local context, as well as our established network of relationships in-country, are an asset to USAID. But we are also important to our respective countries. As we work with and for USAID to support the efforts of the government and other local stakeholders, we also become agents of sustainability, driving that path towards more self-reliance. The “localize it” hymn has certainly been sung before, no doubt about it, but I want to reinforce it. Indeed, in the realms of private sector partnerships, we often look, and rightly so, to partner with the big multinationals that have business interests which overlap with our development goals. And in that endeavor, we could be tempted to overlook the many local people and organizations that may have lesser means and recognition, but hold the seeds to flower a true development purpose. Those are, like Ibrahima, at the core of the notion of partnering for sustainable impact in development. 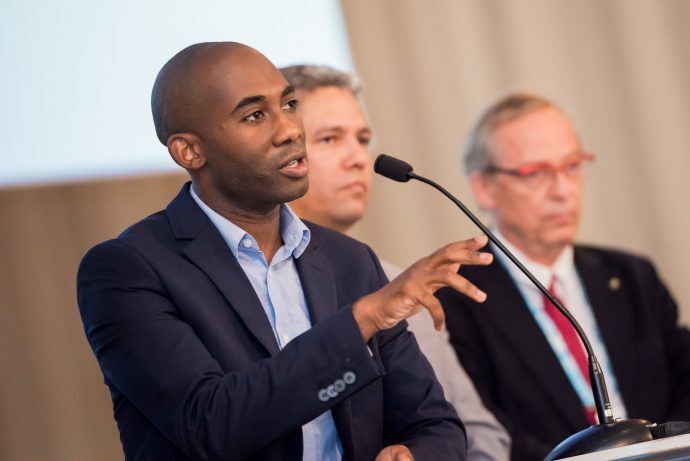 Souley Wade is a Public Private Partnerships and Global Development Alliances Specialist at USAID’s Senegal mission. 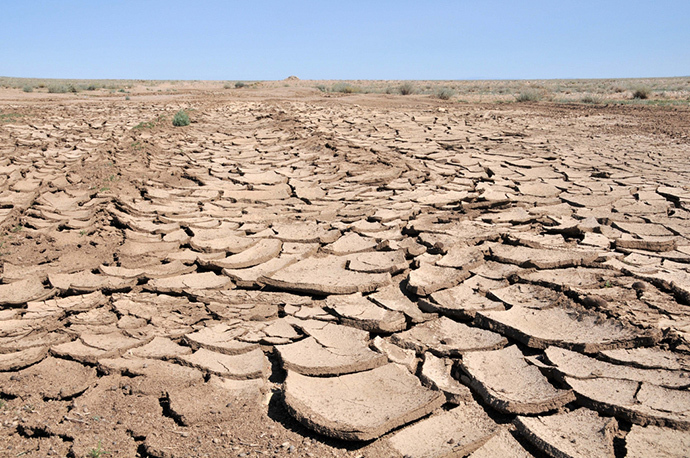 Because of its slow onset, Southern Africa’s drought may not be headline news. But its impacts are being felt by millions. At least 12.8 million people in Southern Africa will face crisis levels of food insecurity by the end of this year. Madagascar has been especially hard hit. About 80 percent of the population in the country’s seven southern districts—665,000 people—are in need of emergency food assistance. I recently traveled to Madagascar with U.S. Ambassador to the United Nations Agencies for Food and Agriculture David Lane. 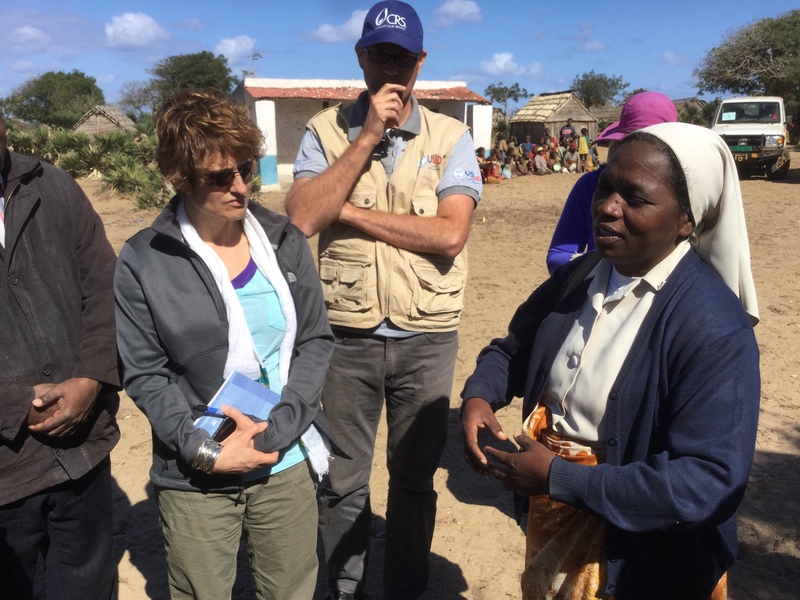 There we met with communities struggling to find enough to eat after three years of consecutive drought made worse by El Niño. During our trip, we saw visibly malnourished children and adults, including many elderly. 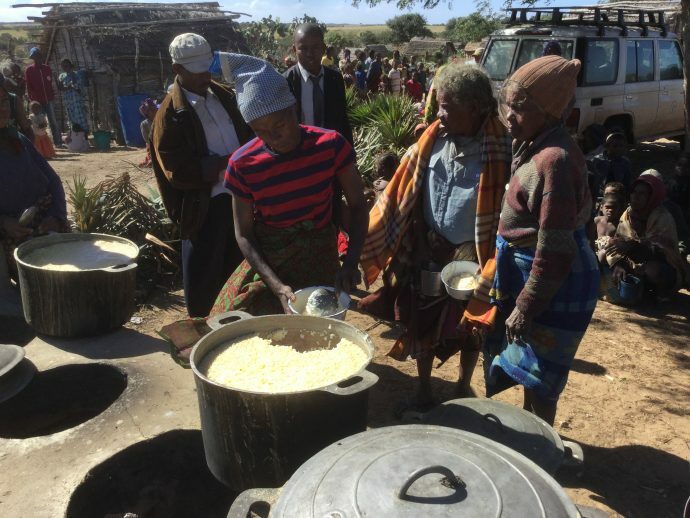 In Tshiombe, we spoke with Soeur Immaculata, a nun from Sisters of Charity, who opened up an emergency soup kitchen to provide regular hot meals to children and the elderly. She told us she had not seen so much suffering since the severe droughts of 1992 and 2006. 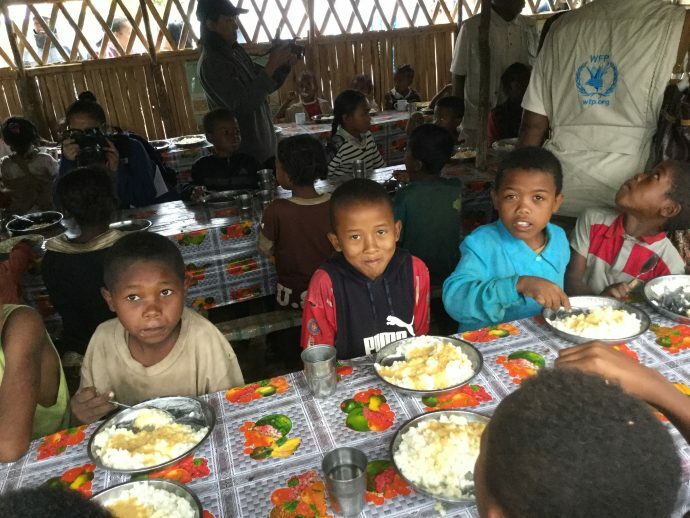 We also visited Ankilimafaitsy Primary School in Ambovombe, where the U.N. World Food Program is providing children with lunch as part of a school lunch program that feeds almost 300,000 Malagasy children daily. For most of these children, this school lunch is the only food assistance they receive; it has become a vital lifeline in these communities as parents struggle to put food on the table. During my trip, we announced an additional $8 million in food assistance to the Malagasy people, bringing the United States’ total El Niño response in Madagascar to $17 million. But we must work with the government and the donor community to coordinate our assistance. We encourage Madagascar’s national and local officials to assess immediate needs, more proactively mobilize their own response, and more effectively draw global attention to the crisis, mobilize contributions, and facilitate donor planning. 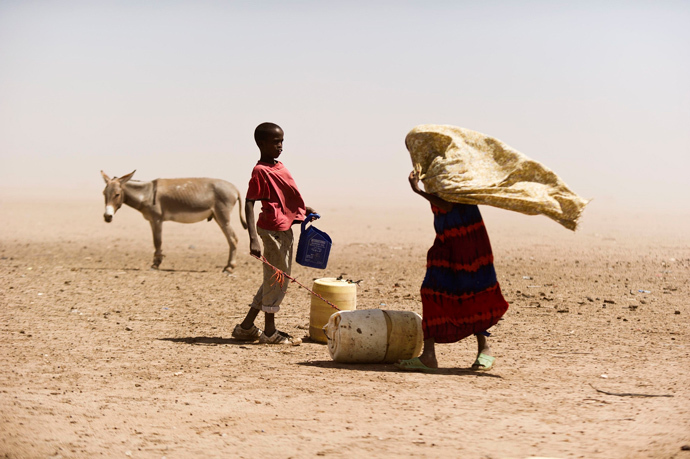 As in the ongoing Ethiopia drought response, early warning is the key to early response. Forecasts indicate that Madagascar’s lean season could begin as early as August rather than October. Children under 5 in this area have unusually high rates of malnutrition. It is urgent that we complement expanded food assistance for families in these southern districts with specialized foods to prevent and treat malnutrition. I was particularly impressed by Madagascar’s National Office of Nutrition and its efforts to screen and treat cases of moderate acute malnutrition. We met with well-trained volunteers who were educating young mothers about nutrition. With USAID support, children are being provided with ready-to-use supplementary food. 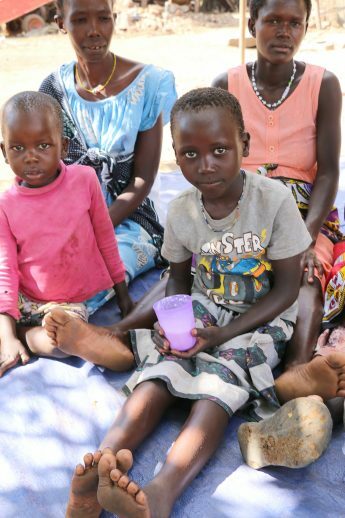 Sustained assistance will be critical in the months ahead to prevent children from sliding into the more serious condition of severe acute malnutrition. Equally important will be ensuring that families can grow their own food in the next cropping season. A seed distribution plan must get seeds in the hands of farmers by September. 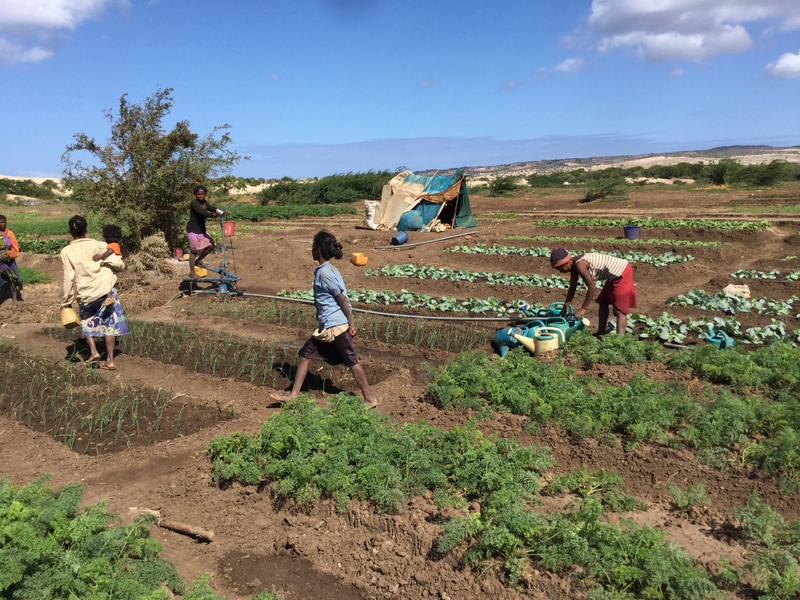 Although the current drought is outpacing the ability of many Malagasy farmers to cope, some farmers have remained self-reliant with our investments. Some of our disaster mitigation efforts include working with farmers to grow more drought-resistant crops like sweet potato and cassava. We are also helping farmers to build assets, access more land near water sources, and improve nearby water points for humans and cattle. Voucher programs help fishermen buy tools and other resources during this drought. Under a creative arrangement, local farmers are growing corn on large-scale plantations, between rows of sisal (a plant used to make rope and rugs), in exchange for keeping the fields cleared and tended. The farmers keep one-third of what they grow to sell or eat, they reserve a third for seeds for the next season, and another third is sold to the World Food Program for its school lunch program. These efforts are making a clear difference as communities cope with drought. We must continue to scale up these investments—and help expand opportunities for populations to make a living during both good and bad times. The people of Madagascar will inevitably face future climate shocks in addition to the current drought. We can help them to mobilize, plan and build resilience to those shocks to promote security and avert emergencies. In my country, the Democratic Republic of the Congo, land is the lifeblood of the population: It nourishes people, allowing them to prosper and grow. However, ineffective management of this land has also led to conflict and violence. Today’s technologies offer an opportunity for citizens to be better tenants of the land. As the project manager for the Sharing the Land initiative, I work with a team to help local communities improve the way they manage land ownership and address disputes. GPS data gathered from satellites is one tool that we’ve introduced to solve land-based conflicts. We also use household surveys to gather information on conflict, a family’s assets or demographics. Once the team has plotted this information on interactive maps using Geographic Information Systems (GIS), anyone with internet access can visualize and better understand land ownership in the city of Beni in North Kivu province. Our goal is to have these interactive maps up and running from both a public website and the Christian Bilingual University of Congo library. 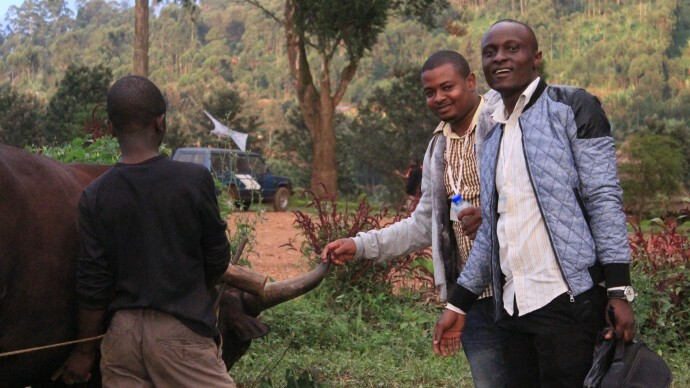 Land conflict has a long history in eastern Congo. In the late 19th century, King Leopold of Belgium’s tyrannous rule disregarded the authority of existing leaders and claimed vacant land for his own use, laying the foundation for the development of two overlapping systems of land management. Even after his reign, tension remained between land controlled by customary authorities and land controlled by the state, which only grew worse in the early 1970s when new land laws were introduced. To this day, this issue has never been fully resolved. 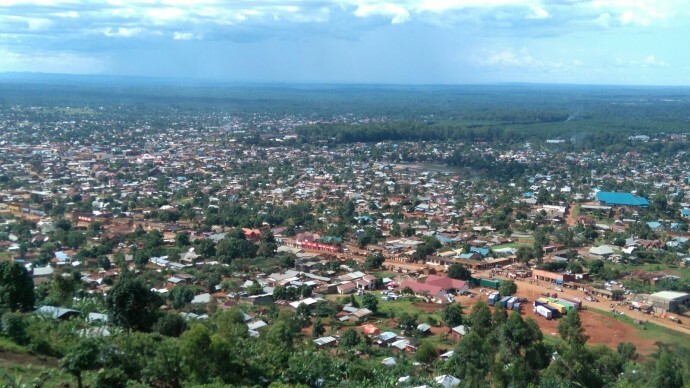 Weak laws and poor land management continue to hinder economic development and urban planning in my city, Beni. Growing up in Ituri in the Orientale province of northeast Congo, my family and I experienced inexplicable torture. The summary execution of civilians, the abuse of human rights, and the destruction of property by armed groups divided my city. Knowing this violence in my community was preventable inspired me to take action. As a student at the Christian Bilingual University of Congo, I found others who were seeking community-based solutions to conflict. In 2014, several protests over existing land management practices in Beni prompted my university’s Integrated Research Institute to learn more about land conflict in the city. Together, we began to plan. First, we came up with the idea of using GIS software to map land parcels, creating layers to track the differences in state ownership and historical ownership. The immediate benefit of this would be twofold: It would help clarify the land purchasing process, while also giving the land authority a better platform for managing land ownership data. Before we could put our plan into action, the Sharing the Land project needed support. Our team won a Transformative Solutions Grant from the Center on Conflict and Development (ConDev) at Texas A&M University last year, financing the first phase of our land mapping initiative. ConDev is part of the U.S. Global Development Lab’s Higher Education Solutions Network, which unites seven universities applying science, technology and innovation to address development needs. Our partnership with ConDev has helped us collect information from both high-tech sources and community members. We first tried using an unmanned aerial vehicle to capture high-resolution aerial imagery, but later switched to a method using GIS and GPS technology, community organizing, and networking to create a base map of Beni. We also gathered land ownership information from the records of the customary chiefs and state technical services, as well as through household surveys we conducted with landowners and tenants in the Masiani neighborhood. Using QGIS and ArcGIS software, we’re not only mapping roads, streams and buildings but also conducting advanced data analysis that incorporates demographic and household information from the surrounding area. To successfully change land management, we are sharing our data with policy makers, mediators, and the public to help resolve arguments over land and prevent future conflicts. 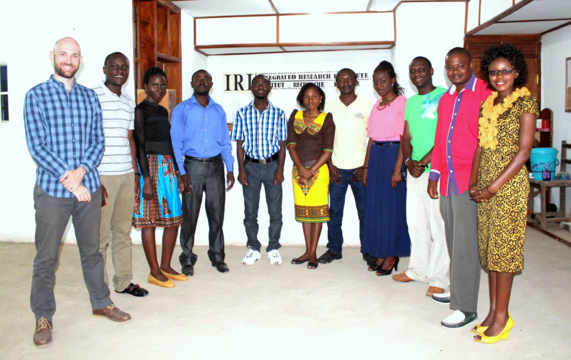 A series of workshops and radio programs that we hosted last spring brought together community leaders, government-associated technical professionals, civil society organization representatives, lawyers and young people. We formed focus groups to better understand the causes and consequences of land conflict. Support from ConDev and USAID set us on the path to achieving our ultimate goal: formalizing our database and becoming the go-to resource for land information in eastern Congo. To date we have mapped a total of 531 land parcels and documented 29 cases of conflict in our database, but our work is not yet finished. In early 2016, we plan to partner with UN-Habitat to provide land administration training to government officials in North Kivu, South Kivu and Orientale provinces in an effort to strengthen urban planning. I hope that these future leaders of the DRC will not become bad managers of the state, or agents of further violence and crime in our communities, but rather agents of change. Archip Lobo is the project manager for Sharing the Land. He graduated from the Christian Bilingual University of Congo in 2014, where he worked on research to better understand problems in the community and propose solutions. Carlos João Tovela Sigue, a small farmer in Maputo, Mozambique, had bigger dreams than the small plot of land where he eked out a living for himself and his family by cultivating potatoes, cabbage, cucumbers and other vegetables. He dreamed of improving his lot in life by expanding his small farm, but he had to put this dream on hold when he discovered a roadblock ahead. “It is difficult to expand production without a bank loan,” Carlos says. For many small farmers like Carlos, accessing a loan to buy seeds, fertilizer and other supplies to expand their businesses can be difficult. Most banks assume that lending to farmers like Carlos is very risky, so they often offer limited finance on undesirable terms. Fortunately for Carlos, he discovered a USAID program that provides a partial guarantee on loans for small farmers through the Agency’s Development Credit Authority (DCA) to reduce risks and encourage local banks to lend to underserved borrowers. Through a partnership between USAID and the Swedish International Development Cooperation Agency (Sida), two banks in Mozambique received DCA guarantees to encourage lending to farmers and entrepreneurs, the main populations that local banks often overlook. Since receiving a loan backed by USAID and Sida two years ago, Carlos’s farm grew from 3 to 15 hectares. With this financing, Carlos mechanized his farming processes and upgraded his irrigation system. This loan also allowed Carlos to hire more seasonal workers. Carlos paid off his entire first loan and took out a larger second loan to help him reach bigger goals and greater financial security. With this credit, he plans to farm 350 hectares of family land, accumulate 700 cows, and buy a larger truck for taking crops for sale to the market. When small businesses and entrepreneurs can access credit, they can create a better economic future for themselves and their communities. 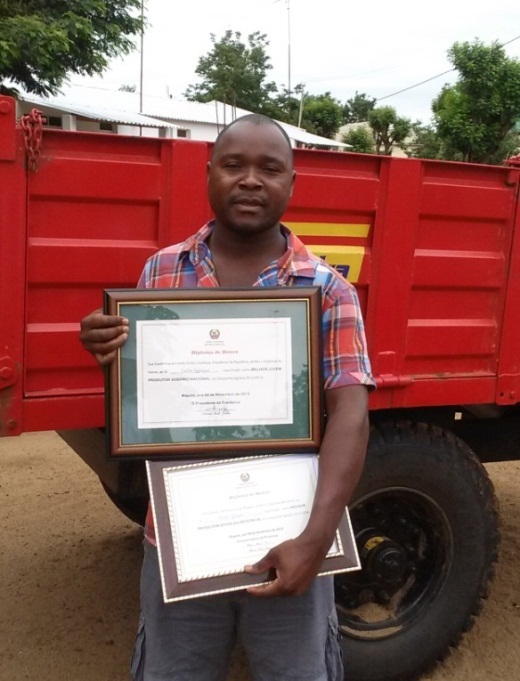 Carlos is a case study in success and the Government of Mozambique recognized his excellence in agricultural entrepreneurship with multiple awards. Many other farmers like Carlos are accessing credit for the first time because of the DCA guarantee program. Since 2006, the DCA program in Mozambique has helped to guarantee 795 loans. When these borrowers were surveyed regarding the performance of the DCA guarantees in Mozambique, the results were positive. Most borrowers reported that this was their first experience with a financial institution, and about one-third of these first-time borrowers were women. Borrowers said the guaranteed loans helped them expand their businesses, create jobs, and improve the quality of their lives. Everyone wins when development agencies partner with banks to bring financing to promising entrepreneurs. 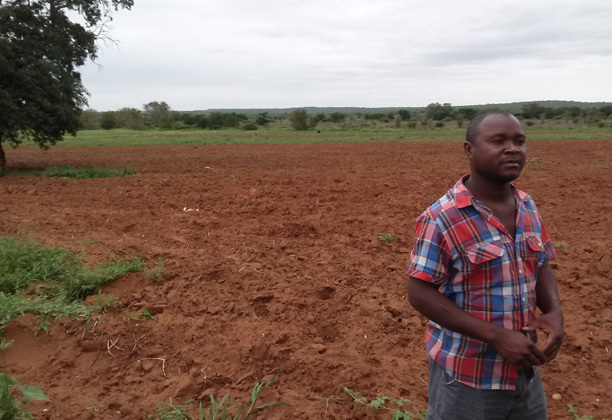 While USAID and Sida continue unlocking private capital for hundreds of borrowers like Carlos in Mozambique, similar DCA partnerships are providing over 160,000 borrowers in 74 countries across the world with much-needed financing. Scott Haller, a USAID Development Credit Authority portfolio manager, and USAID Communications and Evaluations Analyst Beth Pappas contributed to this story. Claire Everhart is the communications specialist for USAID’s Development Credit Authority. Follow @Sida and @SwedeninMZ on its website. See all of DCA’s guarantees issued in 2014 in 18 countries. Read about a recent guarantee using diaspora funds in India. Follow @USAID_Credit, on Facebook; and @USAIDMozambique, on Facebook. 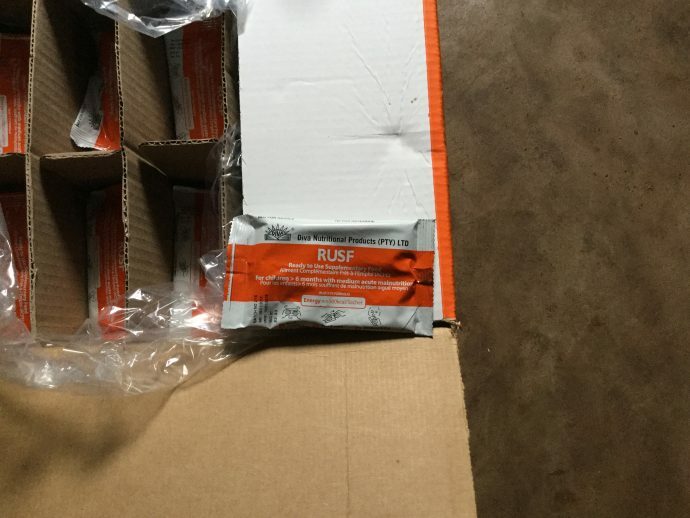 This post originally appeared on The USDA Blog. From record droughts in Kansas to deadly wildfires in California, the United States is feeling the effects of climate change. These same conditions have a dire impact across the developing world, especially for poor, rural smallholder farmers whose very lives are threatened every time the rains arrive late, the floods rush in, or the temperature soars. By 2050, the world’s population is expected to reach nine billion people. Feeding them will require at least a 60 percent increase in agricultural production. There is no greater challenge to meeting this need than climate change. It poses a range of unprecedented threats to the livelihoods of the world’s most vulnerable people and to the very planet that sustains us. In order to ensure that hundreds of millions of people are not born into a debilitating cycle of under-nutrition and hunger, we must address the urgent threat that climate change poses. That’s why today we’re announcing the launch of the Global Alliance for Climate Smart Agriculture. The idea was born eight months ago, when an international delegation of leaders—including many from the USDA, the State Department, and USAID—met in South Africa for the Global Conference on Climate Change, Food Security, and Agriculture. There, we charted a more sustainable path to food security—one that preserves the environment while driving broad-based economic growth. The Alliance’s solutions will encompass every type of climate and agricultural system, including better crop, livestock, and aquaculture varieties that can tolerate extreme heat, drought, and floods. We are also testing and deploying innovative tools for farmers, like weather-indexed crop and livestock insurance to help communities build resilience to severe weather. The Alliance will advance a more inclusive, innovative, and evidence-based approach to food security. It will provide platforms for partners to collaborate on agricultural practices, make key investments, develop policies that empower producers to mitigate the impact of climate change and, through sustainable agriculture practices, contribute to a dramatic reduction in greenhouse gas emissions. It will also provide farmers—particularly women—with greater economic opportunities. Joining the Alliance represents an ambitious step in the United States’ efforts to integrate climate change policies into every area of our work. The Alliance will work in concert with the U.S. 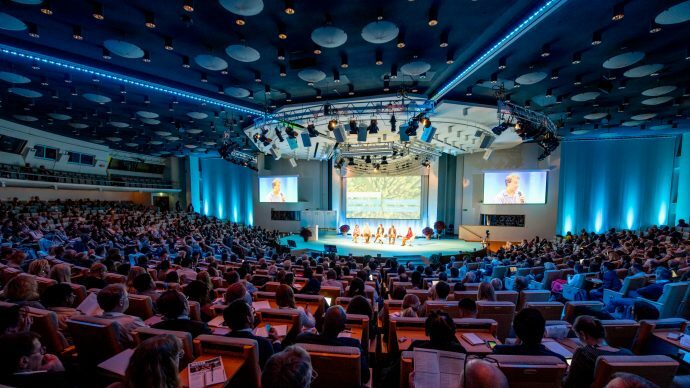 Global Climate Change Initiative, drawing on its expertise and experience grappling with climate change challenges in more than 50 developing countries around the world. This climate-specific knowledge and practice being pioneered today will be critical to protect lives and livelihoods, and promote low-carbon growth and development around the world. As one of his Administration’s first foreign policy acts, President Obama and then-Secretary of State Hillary Clinton launched Feed the Future, the U.S. Government’s global hunger and food security initiative. 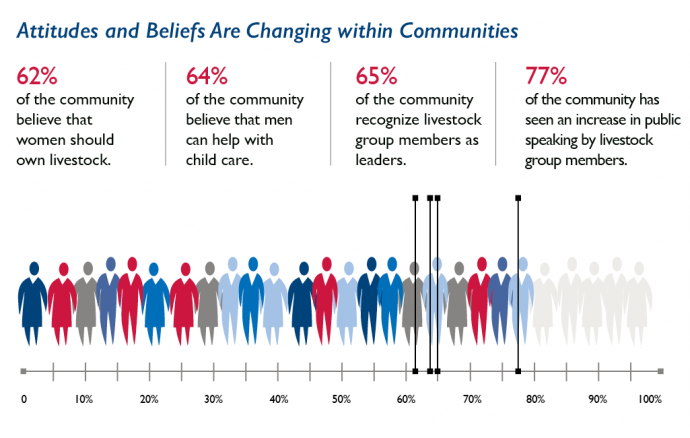 Led by USAID—in partnership with USDA, the State Department, and eight other federal agencies—Feed the Future empowers vulnerable communities to move from dependency to self-sufficiency. In the last year alone, Feed the Future has improved the nutrition for 12.5 million children across 19 countries. At the same time, it has helped 7 million farmers grow their yields, raise their income, and begin the journey out of the devastating cycle of extreme poverty. In 2012, President Obama rallied a group of global leaders at the G8 Summit at Camp David to launch the New Alliance for Food Security and Nutrition, aimed to increase public-private partnerships and increase investment in agriculture. Today, we’ve leveraged $10 billion in investment from more than 200 companies—the majority from local African firms, including farmer-owned businesses. Here in the United States, we’ve taken steps to address climate change and its impact on agriculture, setting up seven climate hubs and three sub-hubs; launching the Soil Health Initiative (healthier soil captures more carbon and helps farmers succeed), engaging more farmers than any time in American history in land and water conservation efforts, and we’re contributing to the Global Research Alliance on Agricultural Greenhouse Gasses. 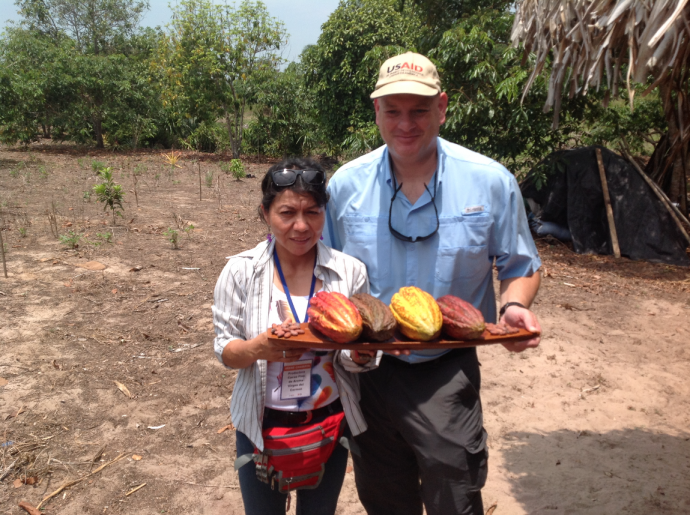 Our experiences at home can provide lessons that are valuable for farmers around the world. We don’t have time to wait. From India to the United States, climate change poses drastic risks to every facet of our lives. Ground water supplies are vanishing faster than they can be replenished. Typhoons, wildfires, and floods are showing signs of becoming more frequent and more deadly. And with each day, families are pushed to the brink of survival—threatening our own prosperity and security in an increasingly connected world. Addressing climate change will not be an easy fix, and it won’t be simple. Long term global food security depends on us acting together now. That’s why the Global Alliance for Climate Smart Agriculture is so critical. By joining together, we can design new technologies and create new alliances to effectively protect and manage the environment that supports us—and the thriving ecosystems that will sustain our world for generations to come.